অনুরাগী চয়ন: I'm a girl, but if i wern't I'd say she was hot. Which hair style do আপনি like best? do আপনি like her better in the book অথবা the movie? Are আপনি glad টঙ্কস্‌ is coming back in the HBP? Do আপনি think it's nice that Tonk's Patronus is a wolf? Anyone who knows a good টঙ্কস্‌ Fan-fic? What chapters do টঙ্কস্‌ and Remus die in? I would really like to know. How unfair is it that টঙ্কস্‌ had two lines in Order of the Phoenix that would be incomprehensible to people who haven't read the books? They didn't ever introduce her properly, and she is the coolest character! People who only watch the চলচ্চিত্র and don't read the বই (despise them though I do) are very unfairly not প্রদত্ত the chance to get to know (and love) this character! 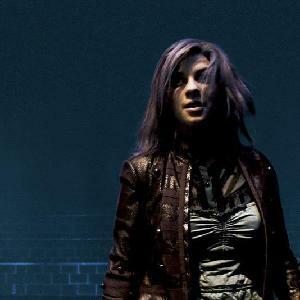 a comment was made to the article: Tonks' ridiculously small part in the 5th movie!!! In which films had Dora পরাকাষ্ঠা (or purple) hair?